The event recognized the dedication of those who have gone above and beyond to house Veterans experiencing homelessness. In July 2014, Mayor Martin J. Walsh and the City of Boston answered the Mayors Challenge to End Veteran Homelessness, issued by former First Lady Michelle Obama to house all Veterans by the end of 2015, and created Boston Homes for the Brave. The initiative was an unprecedented collaboration between government and nonprofit agencies, all committed to the ongoing effort to end Veteran homelessness in the City of Boston. Since the initiative’s inception, approximately 900 Veterans have been housed. 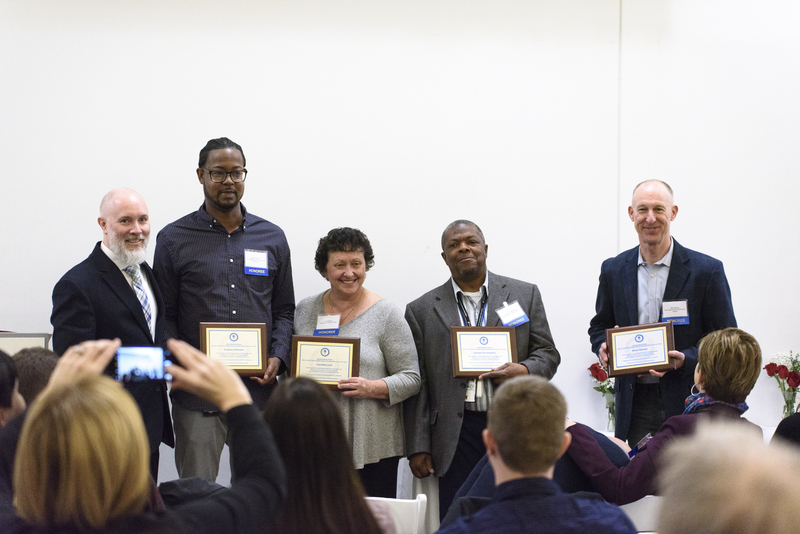 On January 17, 2019 the New England Center and Home for Veterans hosted an event held by the Boston Homes for the Brave Leadership Team to celebrate the hard work and dedication of front-line workers from both the Government and nonprofit sectors. 30 individuals received Certificates of Appreciation signed by Mayor Walsh in recognition of their willingness to go above and beyond to make the initiative a success. Three additional awards were presented: Outstanding Individual, Government Agency, to Liam Connolly of VA Boston; Outstanding Individual, Nonprofit Organization to Edwin Melendez of the Boston Public Health Commission; and Outstanding Team to the NECHV HUD-VASH Project Based Voucher Efficiency Unit Team members Carlton Johnson, Lisa Masciulli, Gerald Christopher, and Brian Reeves. Congratulations to the entire Boston Homes for the Brave team for their success in the ongoing effort to end Veteran homelessness in the City of Boston!